Yvie is a Junior at The Woodstock Academy. 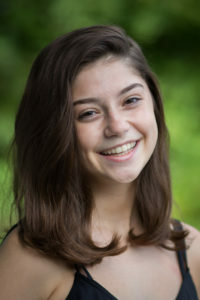 She has been very active in the musical and chorus programs both at The Woodstock Academy as well as Rectory School where she played “Belle” in “Beauty and The Beast” and Gertrude in “Seussical.” Yvie has been dancing at The Putnam Dance Center for 14 years, and is also a member of the Competition Team. This is Yvie’s 2nd year teaching at The Putnam Dance Center. She would like to thank Annette for the opportunity to teach and is looking forward to the recital.